One of Sir Derek Jacobi's favourite albums! 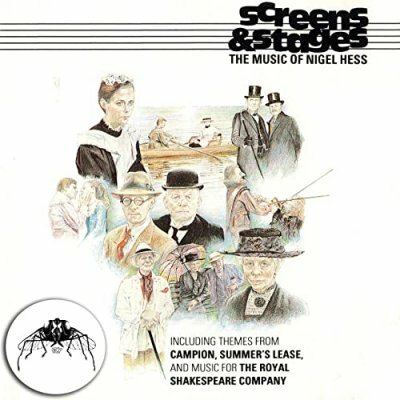 Screens and Stages - a collection of sixteen memorable themes from the world of television and theatre by Nigel Hess. From the romantic grandeur of A Woman of Substance to the simplicity of Anna of the Five Towns, from the mysterious language of The One Game to the charm of Campion and Summer's Lease, here is a rich variety of melodies as different as the dramas they accompanied, performed by the virtuoso musicians of the London Film Orchestra conducted by the composer.